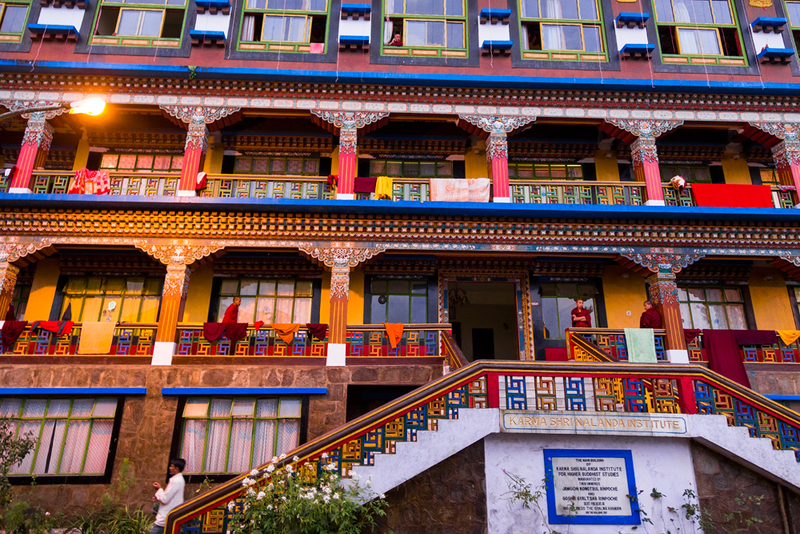 Rumtek monastery, also known as Dharamchakra centre is located in Sikkim near the capital city of Gangtok. 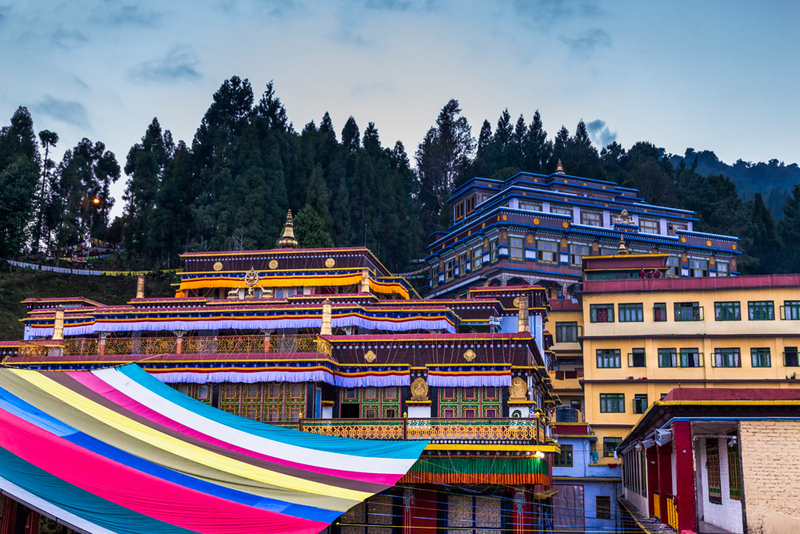 It is currently the largest monastery in Sikkim. 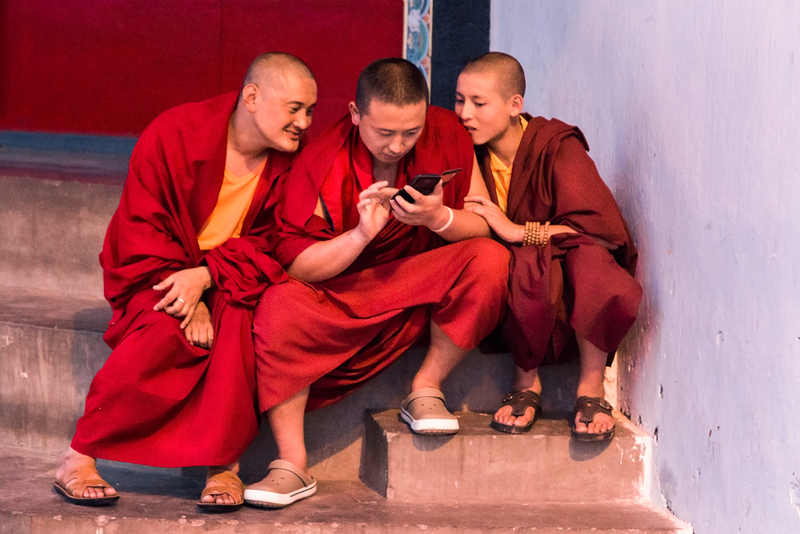 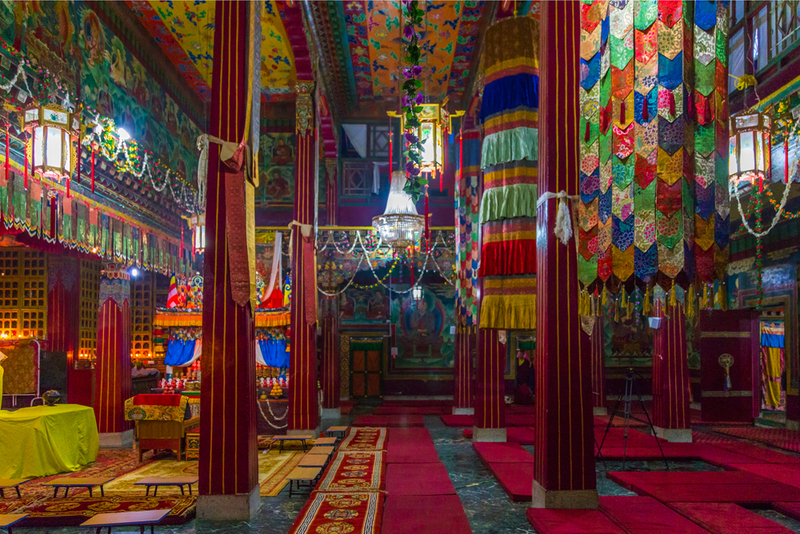 The monastery has served as the main seat of Karma Kagyu lineage of Buddhism.It was originally built in mid 1700s under the direction of Changchub Dorje, 12th Karmapa lama. 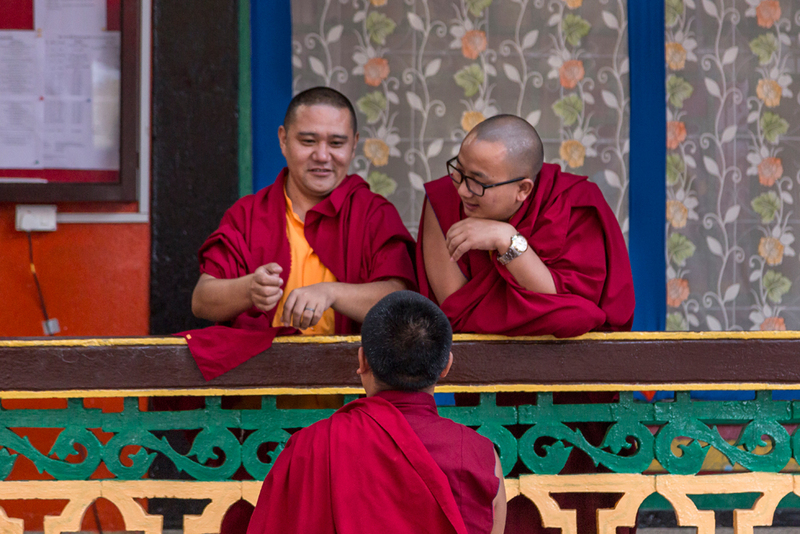 In 1959 Rangjung Rigpe Dorje, 16th Karmapa fled to Sikkim from Tibet. 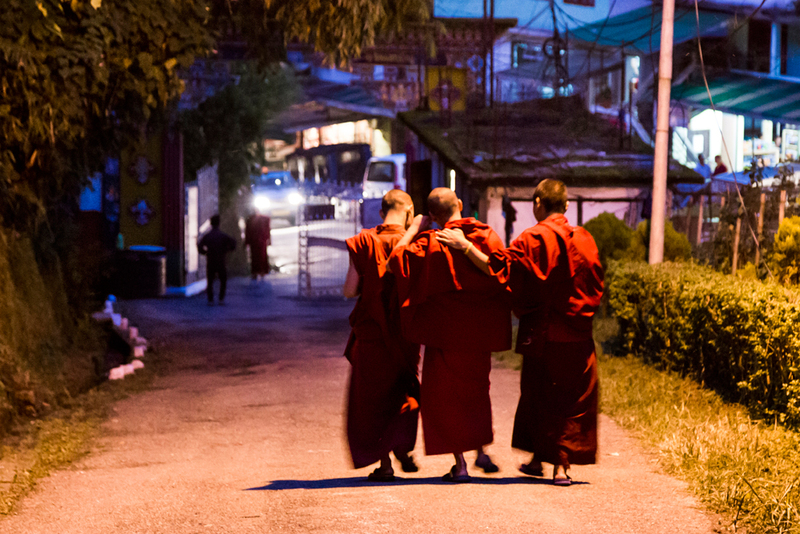 Coming to Rumtek he found the monastery in ruins. 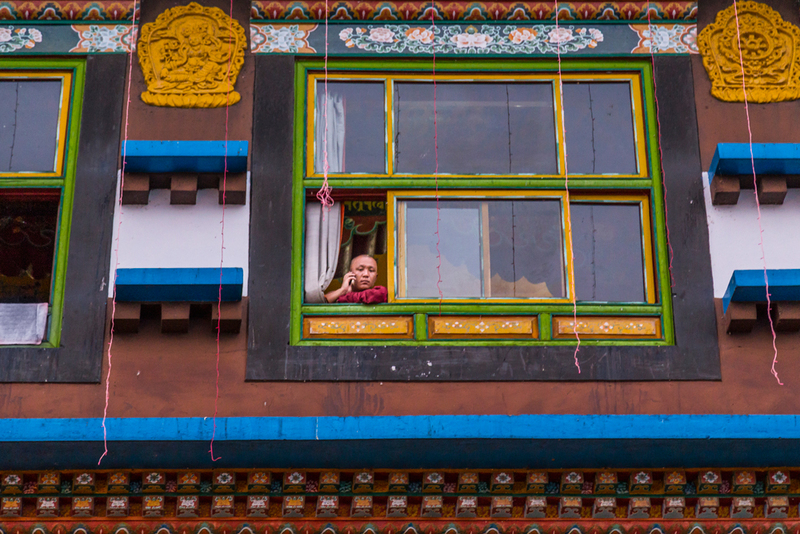 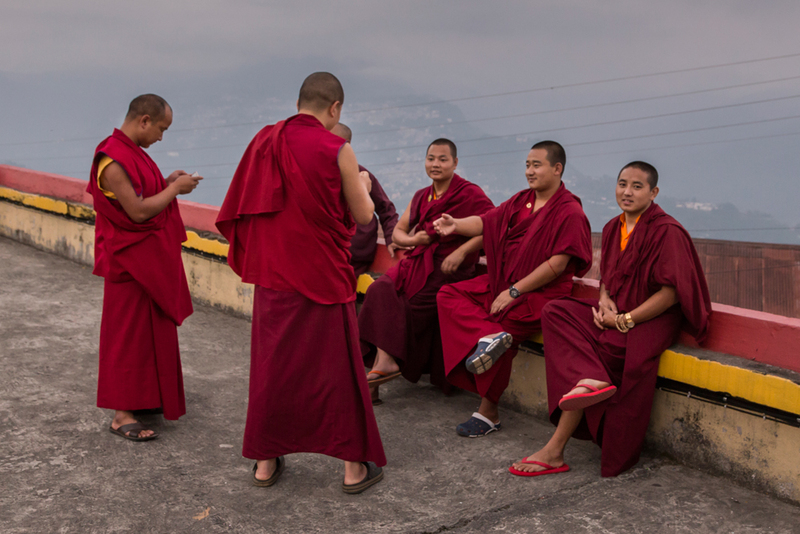 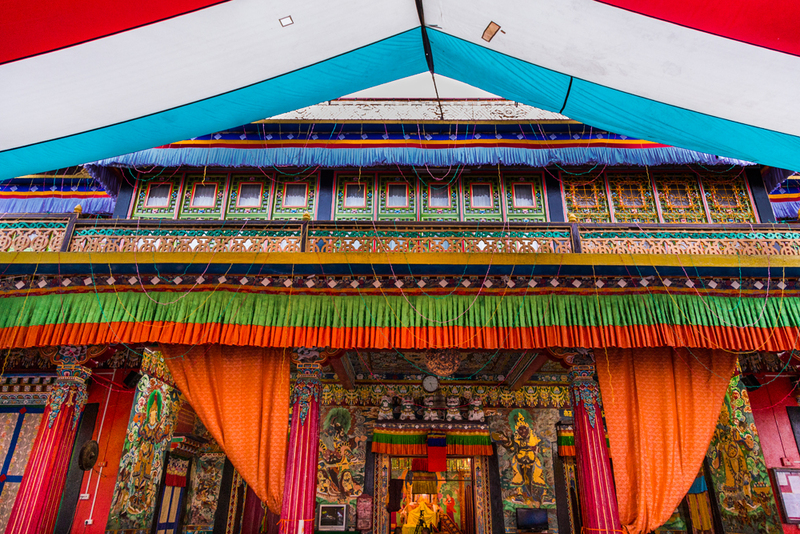 With the help of the royal family of Sikkim and people of Sikkim the monastery was rebuilt. 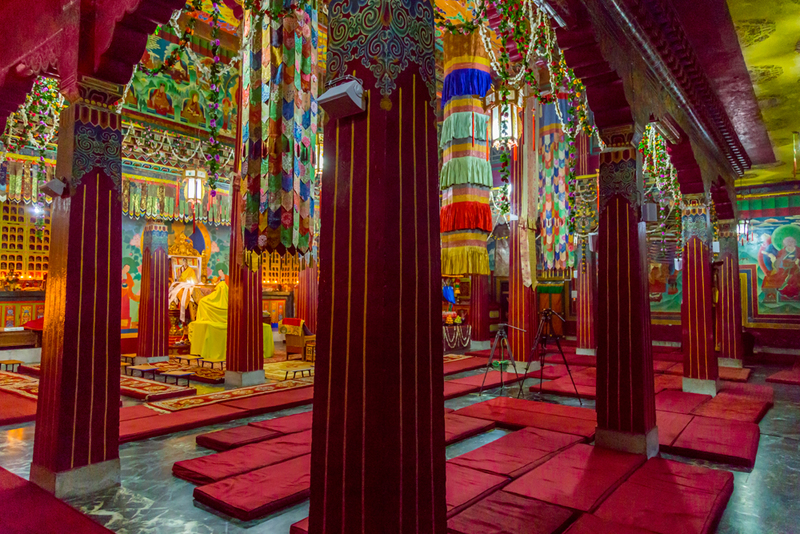 In 1966 on the day of Losar the new monastery was inaugurated by the 16th Karmapa, Rangjung Rigpe Dorje. 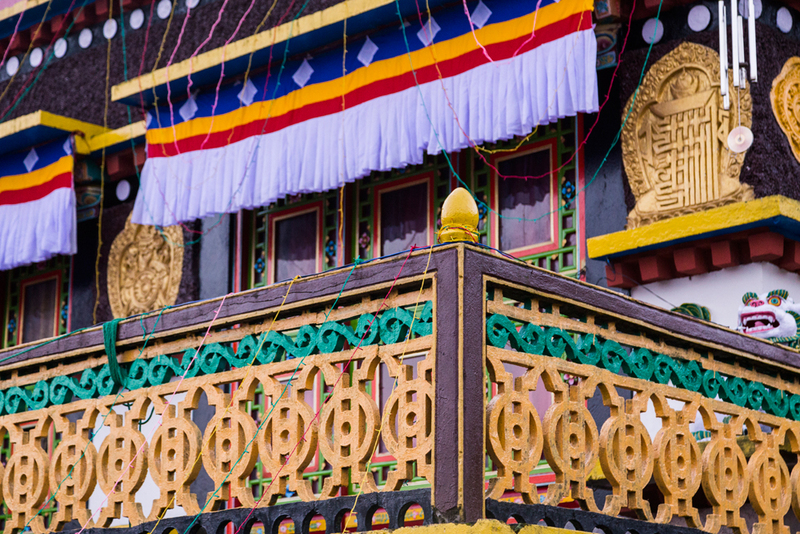 The monastery has a golden stupa containing the relics of the 16th Karmapa. 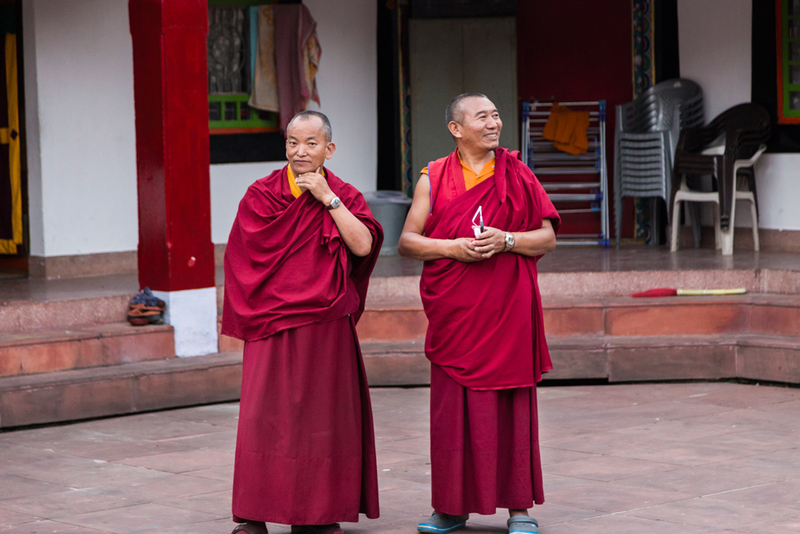 The premises also has Karma Shri Nalanda Institute for higher buddhist studies located right next to the building containing golden stupa.